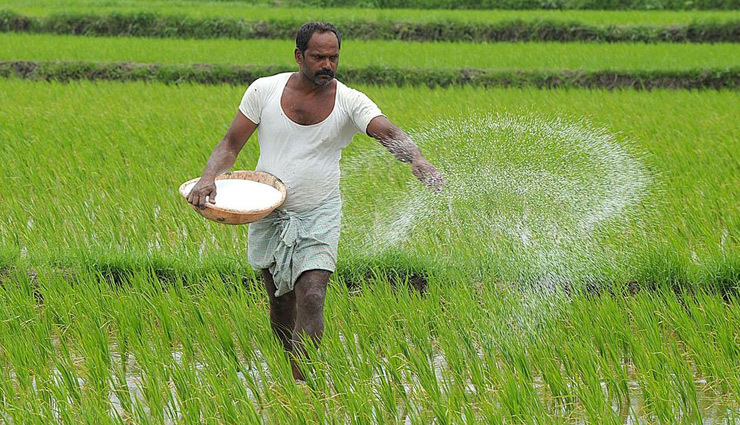 Implementing the crop loan waiver scheme, the Karnataka government wrote off loans worth Rs 1,611 crore borrowed by 3.28 lakh farmers till January 31, said state Governor Vajubha Vala on Wednesday. “The waiver scheme is being implemented on fast track basis to cover all crop loans taken from cooperative and state-run banks, mostly by small and marginal farmers,” Vala said in his address to the joint session of the State Legislature here. As the BJP legislators disrupted Vala’s address by trooping in the well of the House and raising slogans against the ruling allies, he cut short his speech by reading the last page of the booklet and left the premises. Before leaving the House amid the din, the Governor told Assembly Speaker K.R. Ramesh Kumar to table his address as read for motion of thanks by the 225-member Lower House. “My government has also ensured payment of farmers’ arrears by sugar factories and reduced them (arrears) to Rs 5 crore by January from a peak of Rs 2,135 crore in April 2018,” the Governor said. Expressing concern over the prevailing drought conditions in 24 of the 30 districts of the state, Vala said deficit rainfall affected around 100 talukas (sub districts) during the kharif season (June-October) and 156 talukas during the rabi season (October-January). “The government has taken steps to ensure drinking water supply, availability of fodder and employment generation in the sub-districts in distress through various central and state government schemes.” said Vala. The state government has also released funds to the drought-hit sub-districts for providing relief to the affected people. “The state government has distributed 8.11 lakh fodder mini kits free to farmers for growing green fodder,” said the Governor. “The state agriculture department has estimated 30 lakh tonnes green fodder from the flagship programme. “A long-term action plan should be drawn to tackle the distress due to prolonged and recurring drought conditions. We will continue to promote micro-irrigation systems and rain water harvesting to ensure conservation of water resources,” said the Governor in his address. As employment in rural areas is vital to provide livelihood to in the drought situation, over 812 person days were created in fiscal 2018-19 up to January 31 under the Mahatma Gandhi National Rural Employment Guarantee Scheme (MGNREGA). “Though we have provided jobs to 18.56 lakh families during the fiscal, work will be provided for 150 days for every job cardholder in the drought-hit areas,” said the Governor.